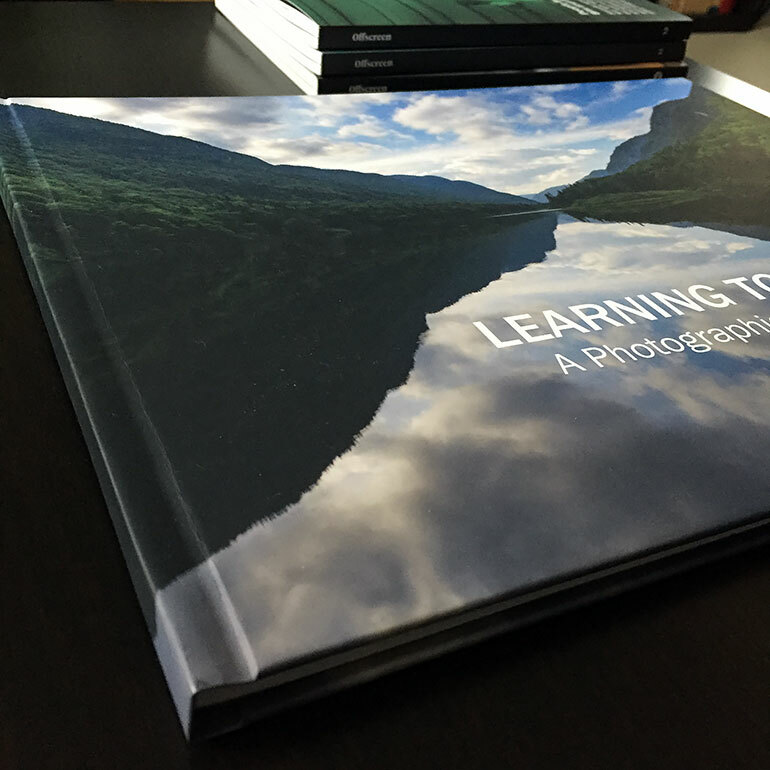 I’ve been wanting to create a photo book of my work for a long time. 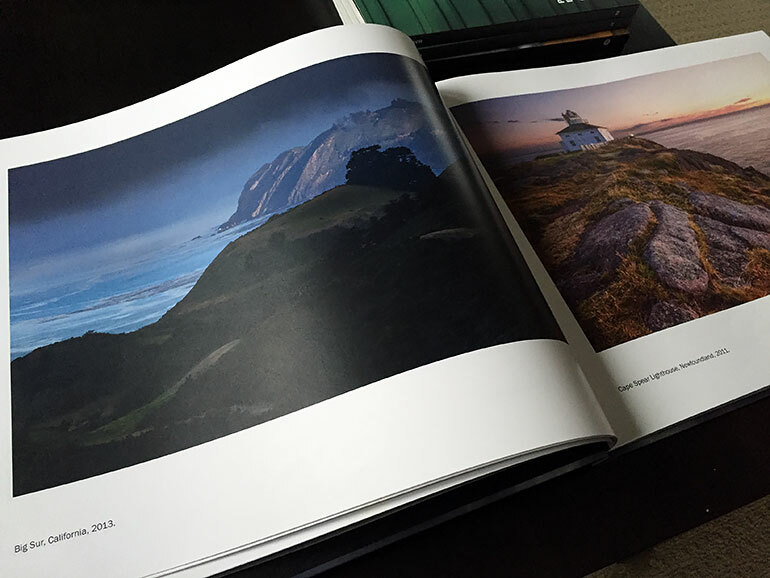 Every photographer should print their work from time to time and create a book at some point. It takes a lot of work but it’s worth putting those pixels to paper. 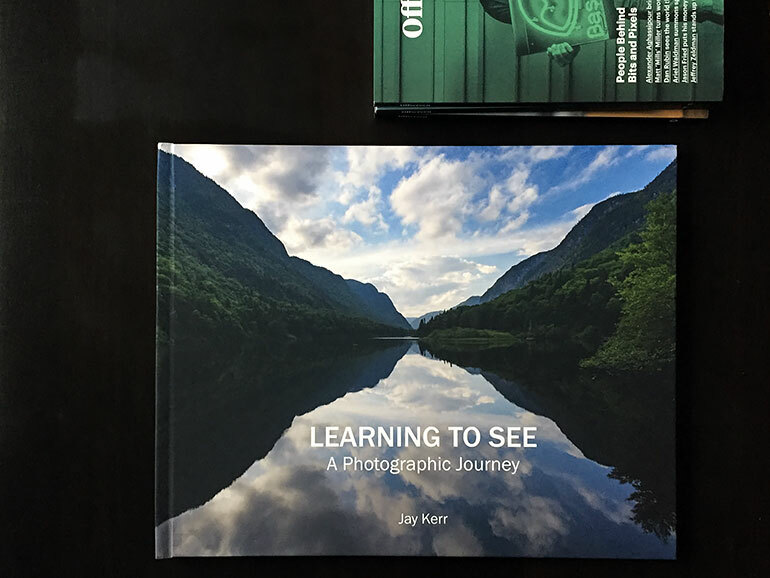 I selected 50+ landscape photos of my best work and put it into a book that I called Learning to See. The cover and binding is professionally done and looks great. There are so many choices for self-publishing. I narrowed my options down to Pikto and Blurb. I have a Blurb photo book from another photographer and was impressed by the quality. I’ve used Pikto in the past for prints and liked the ability of seeing various book samples. I decided to use Pikto because they had a special promotion where I could buy one book get the second at 60% off. I went about creating a 14 x 11 inch photo book in Adobe InDesign. Pikto also has a web-based app for creating photo books called BOOKit but I wanted complete control of my layout and type. The turnaround time was 4 business days. With the discount and taxes, the final price for two hardcover books was $182 CAD. The print quality was very good. The binding and the cover is professionally bound and looks great. My only complaint? I found that my photos printed a little darker than I expected. This can be probably corrected by boosting the image levels. Overall I’m very happy with the results from Pikto. Some of the photos printed darker than I would have liked. As of October 2015, Pikto retired its BOOKit service and has introduced a new cloud-based editor for creating photo books. You can still use InDesign templates to create your books.